Horror, sci-fi, crime: they are all remote from our experience of everyday life and yet a good writer or director can make them absolutely convincing and have us sitting on the edge of our seat. I thought about this on Saturday when I was watching the last episode of the French crime series, Spiral (in French, Engrenages – meaning the meshing of gears, better, I think). I was gripped by it, but I wasn’t entirely happy. 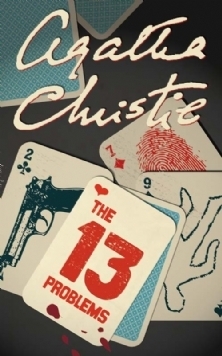 It is a challenge to have the solving of a crime spread over twelve episodes and the solution wasn’t really satisfactory to my mind (won’t disclose it for those who haven’t seen it yet). Even more of a problem was that the police kept making elementary mistakes. A group of poorly educated young women on a sink estate rang rings round them. I do understand that the police couldn’t clear everything up in the first episode, but it did get to the point where every time they trailed a suspect, you knew they would lose them. 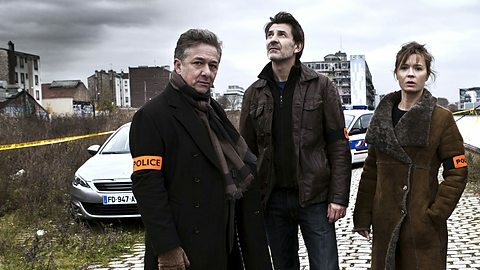 In the last episode Gilou was distracted by a phone call from a woman with whom he was having an affair. Unprofessional or what? The police had to prepare a bag to be handed over to kidnappers, who through a fairly elementary ruse managed to make off with it. Had the police planted a tracking device in the bag? Of course not. They all deserve to have been demoted long ago. The thing is kept afloat by the wonderful acting and the legal strand is fascinating. So yes, I expect I will watch the next series, but I hope they’ll up their game – the police and the script-writers. Dolores Gordon-Smith is my guest today. Dolores is great company and am always glad to run into her. We first met when she was on a panel that I chaired at Crimefest. 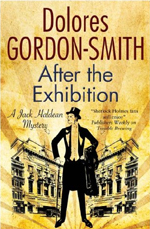 That was also when I first encountered her series featuring Jack Haldean, set in the 1920s and drawing on the Golden Age tradition of the fair play mystery. They are rattling good reads. I asked her, What comes first for you: a theme, plot, characters? I tend to think of an intriguing incident first off, and puzzle out how it came to be. What led up to it, what happened afterwards – that sort of thing. That gives me an idea of who the characters are who have made the incident happen. For instance, as As If By Magic I knew I wanted a man to witness a murder in a deserted kitchen, where the body disappears minutes later after the police have been called in. I had to think why he was there – it wasn’t his kitchen so he’d broken in but he wasn’t a burglar. I also wanted him to be sympathetic but disbelieved, so I came up with George, who despite wearing full evening dress, is completely destitute and suffering from malaria. What happens to the body is, of course, the plot! Your Jack Haldean novels are set in the 1920s. What drew you to that period? I live in Manchester which must be one of the most “unbooky” places in Britain. Seriously. There’s two big Waterstones in the centre of town, but that’s it. Can you ask? A plot generating machine. I think science has been strangely lax in its lack of attention to this vital piece of technology! I’ve just finished my tenth Jack book, The Chessman. That should be out in August. It concerns a body found in an otherwise idyllic parish church and is an idea I’ve been playing around with for ages. 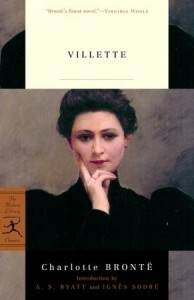 To find out more about Dolores and her most novel, After the Exhibition, go to http://www.doloresgordon-smith.co.uk/. Her books are published by Severn House and are available in print, ebook and audio. I’ve been busy with some short stories lately. It’s especially interesting, I think, when one is writing to a brief. The first time I did that was some years ago when Ra Page at Comma Press asked me if I’d like to try my hand at a horror story involving modern technology for an anthology he was editing. Horror? modern technology? Not really my style, but when I mentioned it to my husband, his response was bracing: ‘You’re a writer, aren’t you? So, write something.’ I did. I wrote a story, ‘Safe as Houses’ about a house in which everything is controlled by state of the art technology and what happens when something gets into the system. It was fun, so I was happy to say yes when my crime-writing friend, Kate Ellis, invited me to submit a story for a collection with a rather unusual starting point. 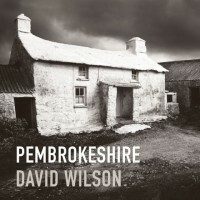 Every story is to be based on a photograph of Pembrokeshire by David Wilson in a collection published by Welsh publisher Graffeg, who’ll also be publishing the short stories. Wilson specialises in wonderfully atmospheric black and white photographs and it was hard to know which one to choose. A farmhouse about to be engulfed by mist rolling down from the hills? A deserted and rusting petrol station? A burial chamber outlined against a stormy sky? In the end I settled for a view of the windswept beach at Freshwater West with a path leading through the dunes. I finished the story this week and sent it off. That’s something I love about writing short stories: the satisfaction of having completed something. A novel by contrast is such a long haul. I’m very much looking forward to seeing what the others make of their photo and I’ll write about that when the anthology comes out. A week or two ago I wanted to track down a short story. I thought it was probably by a writer called Margaret Irwin. I remembered what it was about, but I wasn’t sure of the title. Quarter of an hour later I was reading it on my ebook reader. I’d found the writer on Wikipedia, identified the story and the collection it was in, and bought it. My daughter’s generation take all this absolutely for granted, but to me it still seems little short of miraculous. I think back to the early 1980s when I was writing my Ph.d thesis on Arthurian legend in fine and applied art 1840-1920. I wrote to every museum and art gallery in the UK. Now I expect their collections are all on-line and I could have done all that research in a day or two. As for actually writing it, I had a Smith Corona electric typewriter – just like the one in the picture. It was absolutely state of the art and I cherished it. You didn’t have to mess about with Typex. You could put in a correction tape. Magic! I typed many drafts of my thesis on it. The final draft was typed by a professional typist. It was a year or two after that that I bought my first computer – an Amstrad. To track down that Margaret Irwin short story, I would have had to leave the house and go to a library, and a large one at that, preferably a copyright library such as the British Library. To own a copy, I would probably have had to trawl the second-hand book shops (and would no doubt have found other books that I didn’t know I wanted until I saw them). Now nothing need go out of print any more and previously out-of-print books are having a new life as ebooks. But, still, I think I’ll always enjoy a rummage in a second-hand book shop.